The area commonly known as "The Angel" was named after an inn near a toll gate to the city on the corner of Islington High St and Pentonville Road in the Parish of Clerkenwell dating back to 1603. Now the angel has wings. 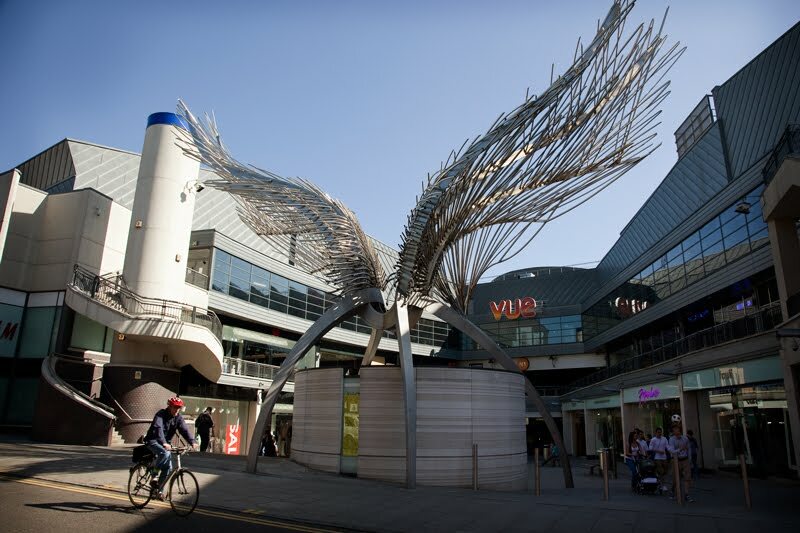 The giant sculpture that stands in the shopping complex shown in the photo above is by Wolfgang Buttress. The winning entry in the National Architect Foundation competition in 2003. I'm very fond of this sculpture! Thanks. Used to live not far from here. Amazing to see how it's changed! Real good metal sculpture. Really suits the shopping complex. I love it!!! Haven't seen it before. Great shot of the Angel & surounds - I'm loving this trip around the board!! !